Don't forget to pak a snak! 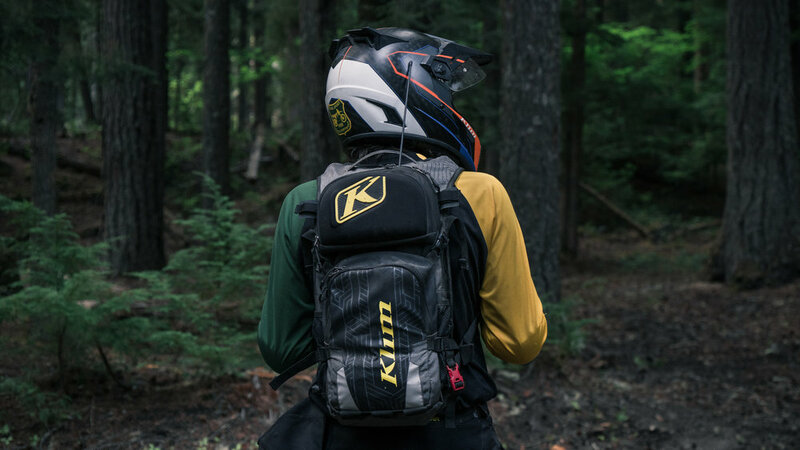 The newest edition of KLiM's backpack is here, perfectly sized for dual sport adventures. Over the last two years, we have been using a Nac Pak. It has a somewhat compact design, and is slim enough to stay solid against your back. This Pak makes it easy to carry hydration and other essentials you may need quick access to. This year, KLiM redesigned the Nac Pak. The first things you'll notice about this pack is it's sturdy construction and much more durable materials. It also features a harness type front enclosure, which helps distribute the pressure and weight of the pak, and also has storage pockets built in. Now you can quickly access your phone and/or PLB without taking the pak off. 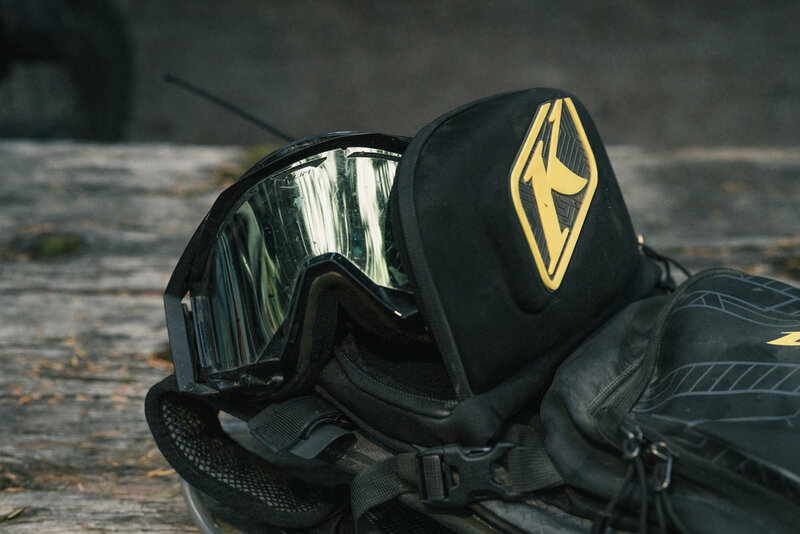 The goggle storage makes a nice place to keep your goggles safe when night time falls and you need to use your clear windscreen on your Krios helmet, but also has a hard enough shell you can keep things like a compact camera in the same pocket. If you need to carry some tools, the pak includes it's own tool pouch, which is integrated behind the outer pocket for portability.